Sydney is known for nightlife, trails, beaches, parks, and museums. 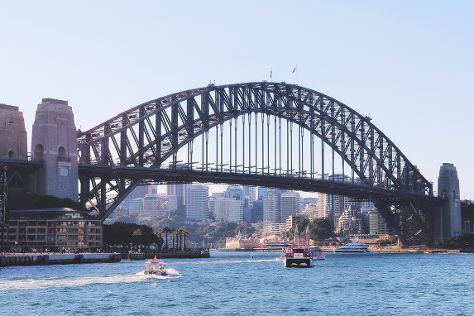 Your plan includes some of its best attractions: snap pictures at Sydney Harbour Bridge, enjoy the sand and surf at Bondi Beach, explore the world behind art at Art Gallery of New South Wales, and take a stroll through The Rocks. To find where to stay, other places to visit, more things to do, and tourist information, refer to the Sydney trip planner . Kuala Lumpur, Malaysia to Sydney is an approximately 11-hour flight. The time zone difference moving from Malaysia Time to Australian Eastern Standard Time (New South Wales) is 2 hours. Traveling from Kuala Lumpur in June, things will get colder in Sydney: highs are around 21°C and lows about 11°C. 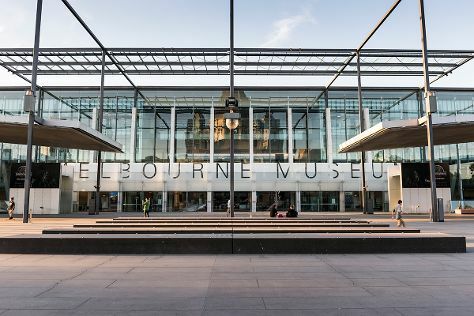 Finish up your sightseeing early on the 16th (Sun) so you can travel to Melbourne. Melbourne is known for museums, shopping, parks, nightlife, and zoos & aquariums. Your plan includes some of its best attractions: stroll around Royal Botanic Gardens, brush up on your military savvy at Shrine of Remembrance, learn about wildlife with up-close encounters at Melbourne Zoo, and take in panoramic vistas at Eureka Skydeck 88. Fly from Sydney to Melbourne in 3.5 hours. Alternatively, you can do a combination of flight and shuttle; or drive. Plan for slightly colder temperatures traveling from Sydney in June, with highs in Melbourne at 16°C and lows at 6°C. Wrap up your sightseeing by early afternoon on the 19th (Wed) to allow enough time to travel back home.